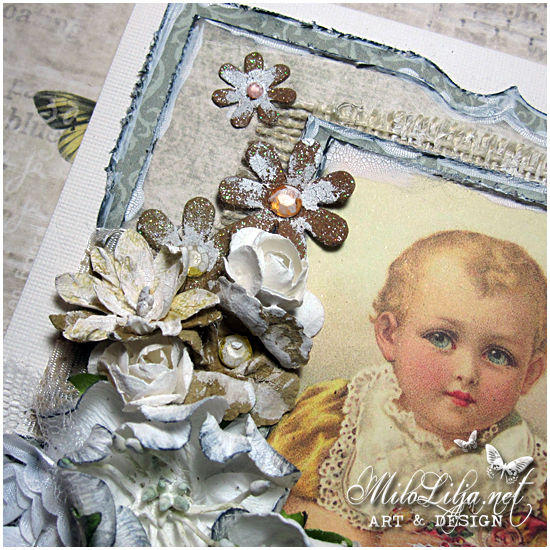 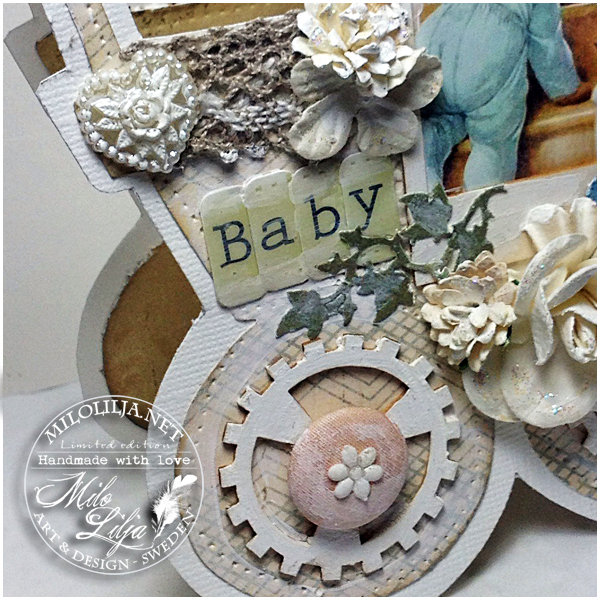 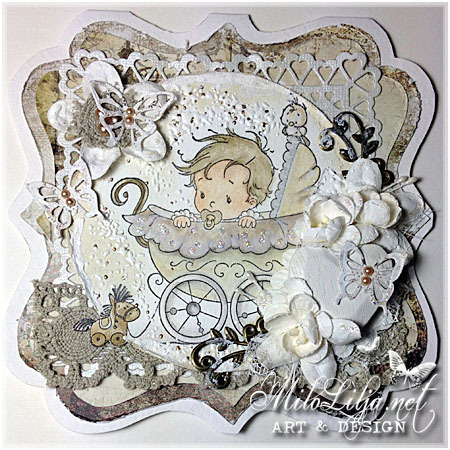 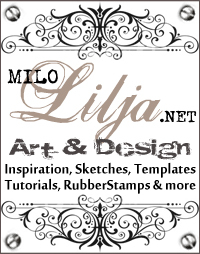 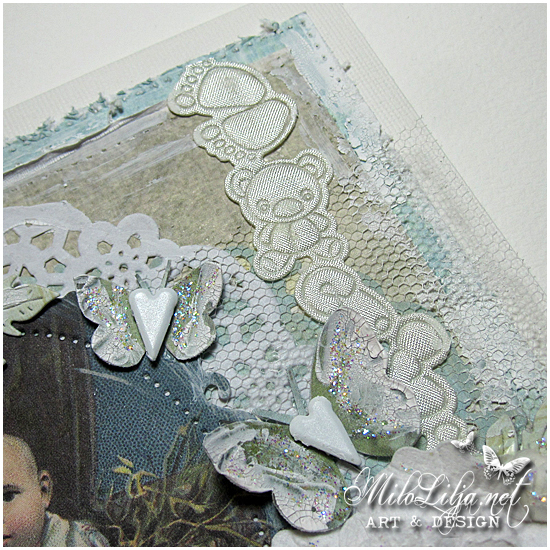 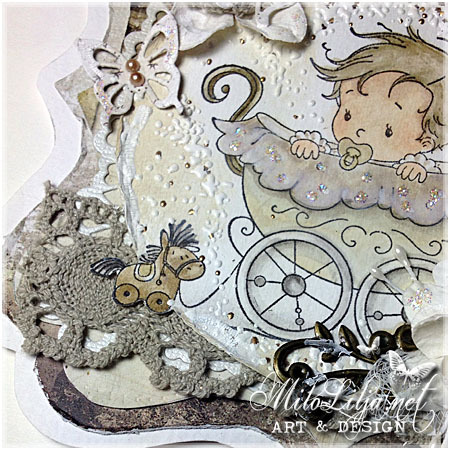 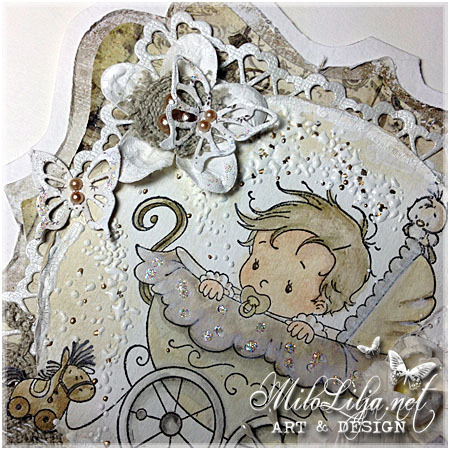 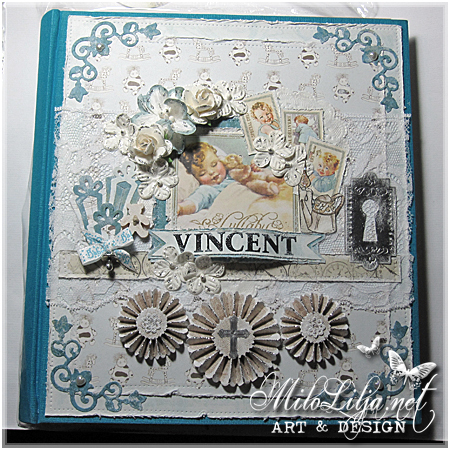 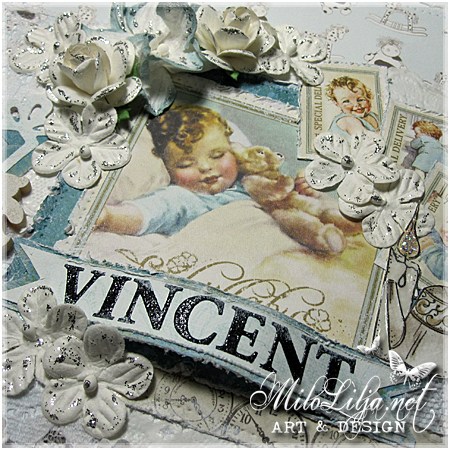 This baby card is made for Reprint as inspiration card. 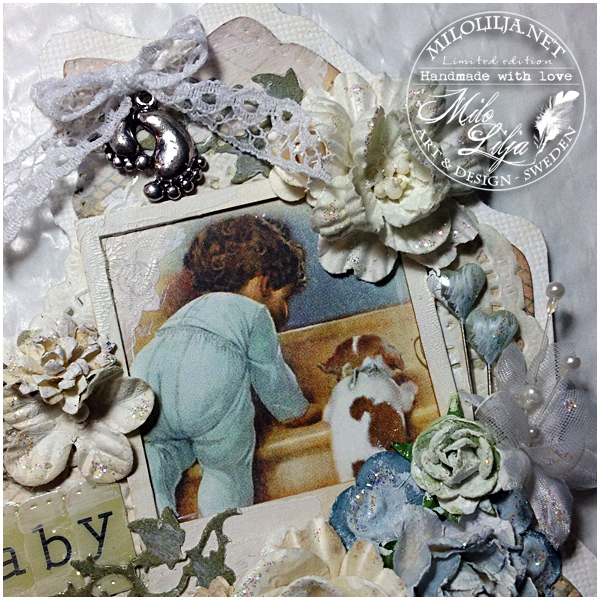 The baby picture is from a vintage paper. 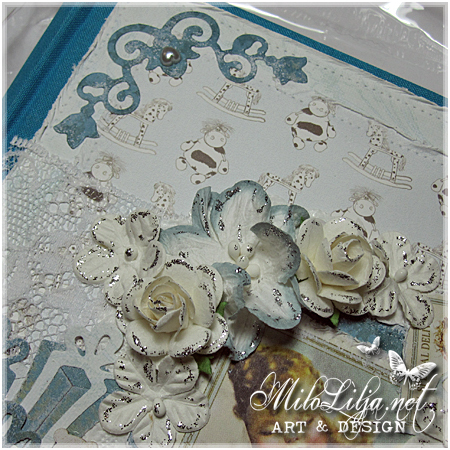 with the new lovely papers and flowers. 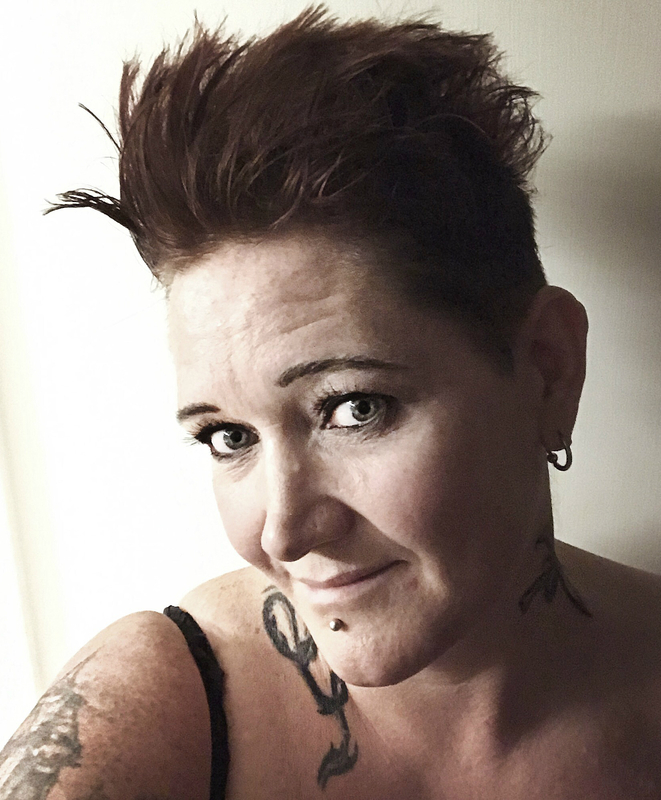 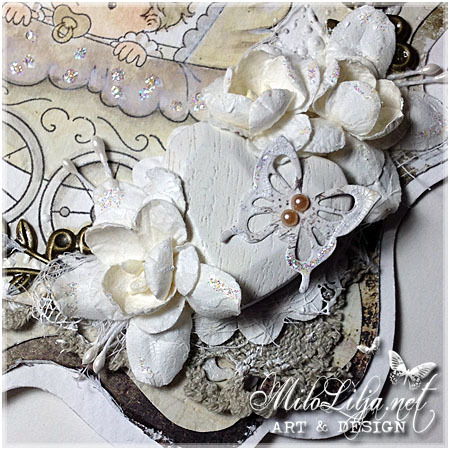 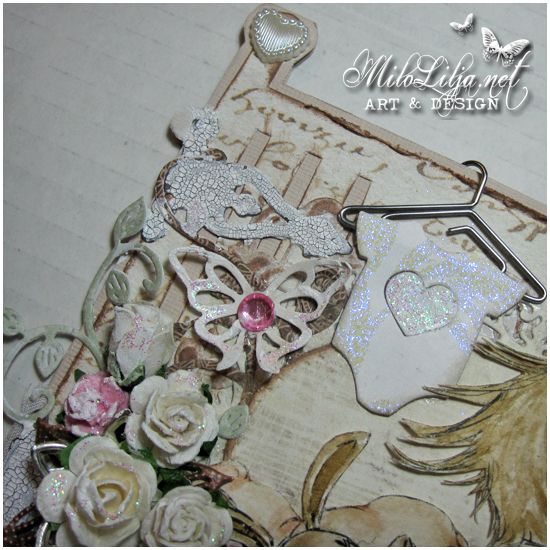 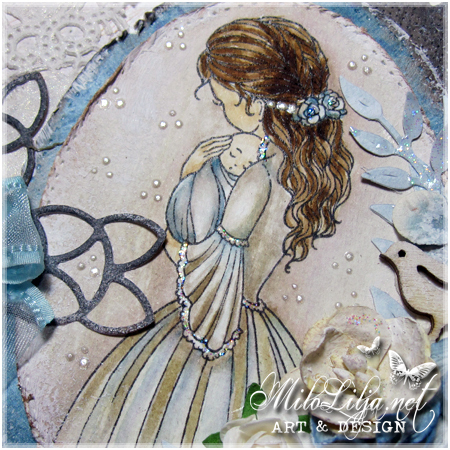 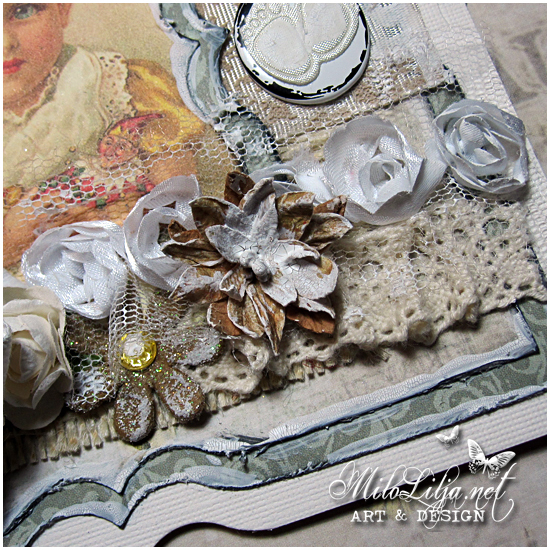 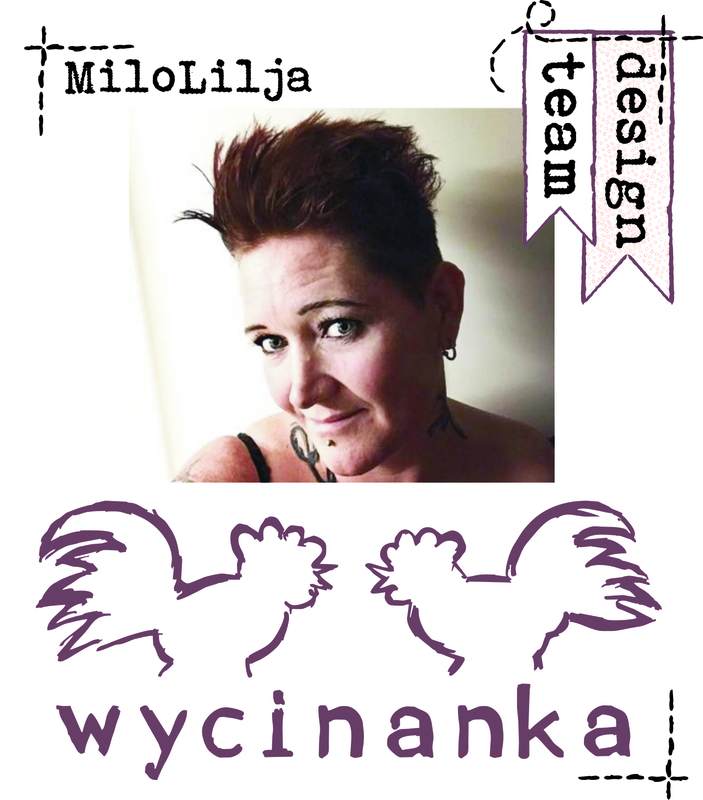 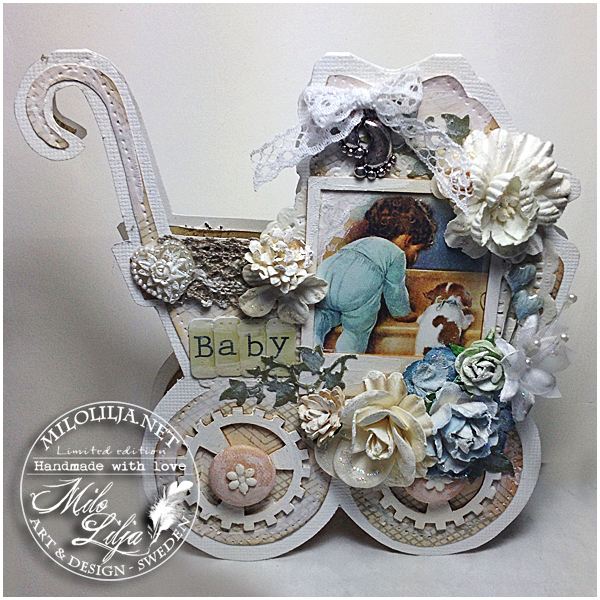 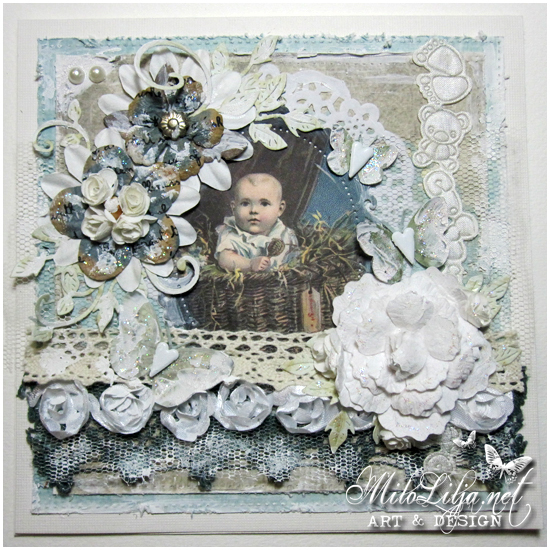 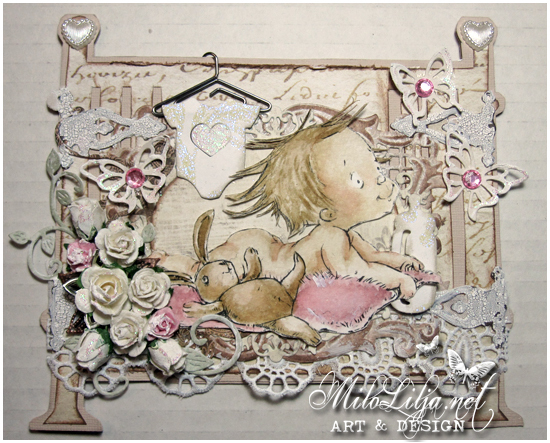 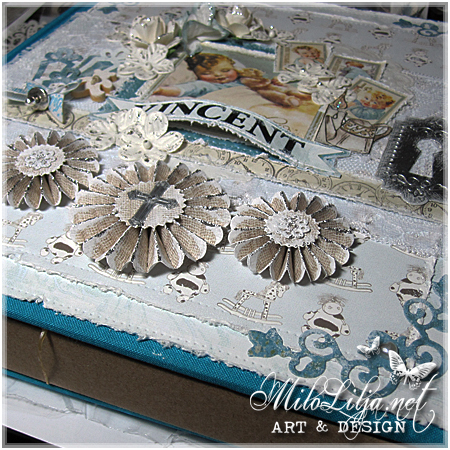 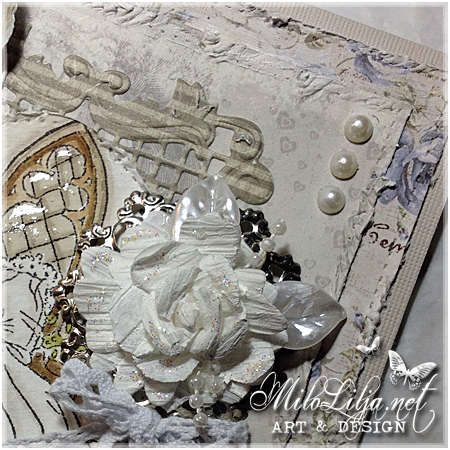 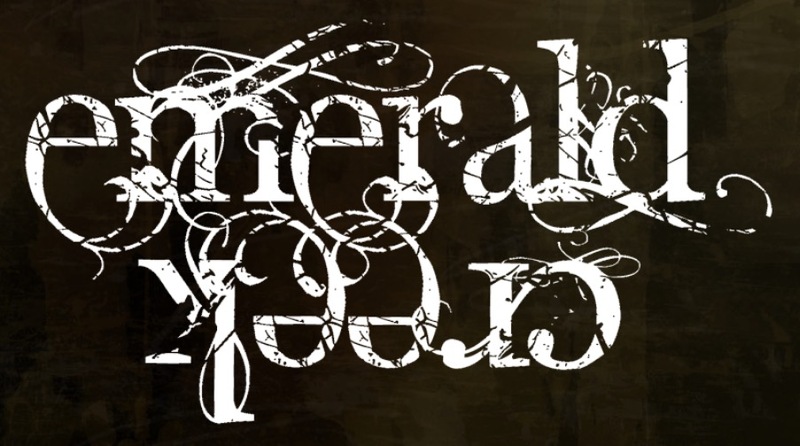 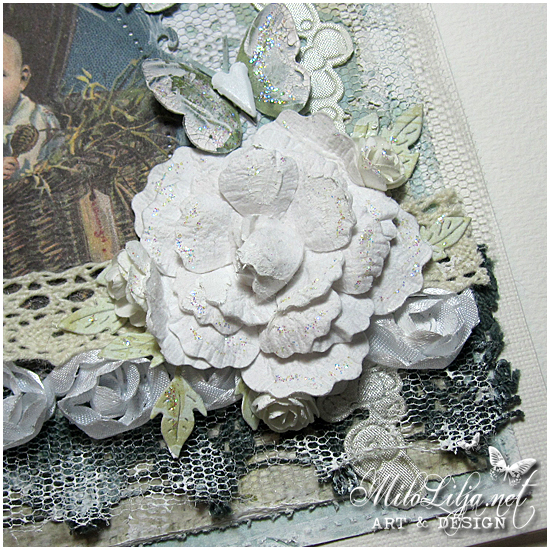 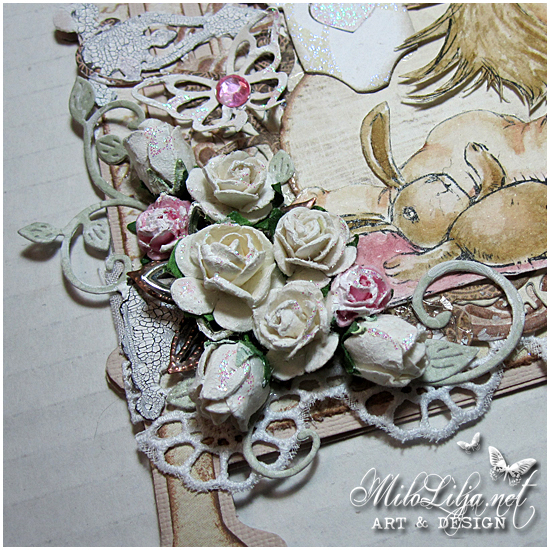 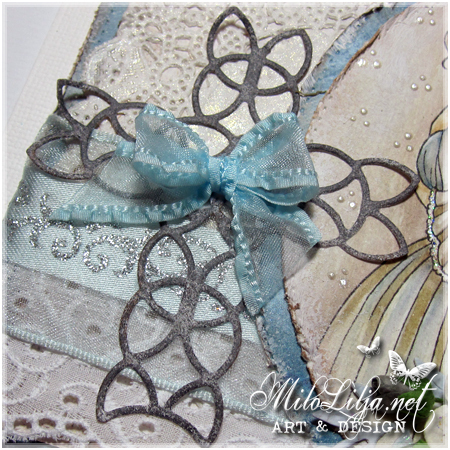 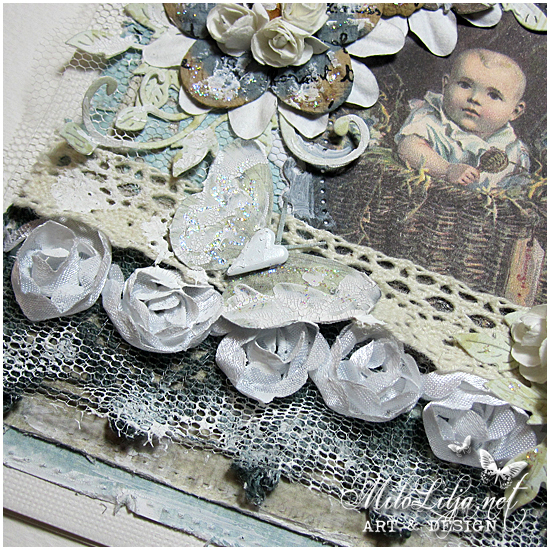 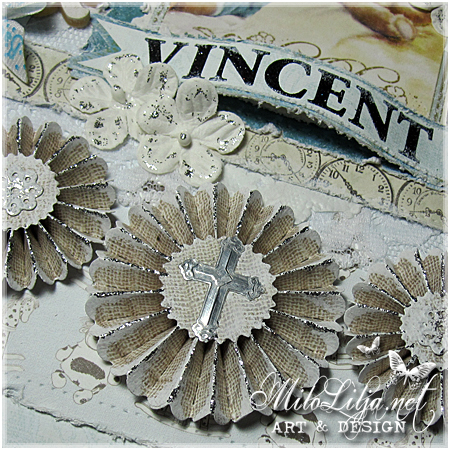 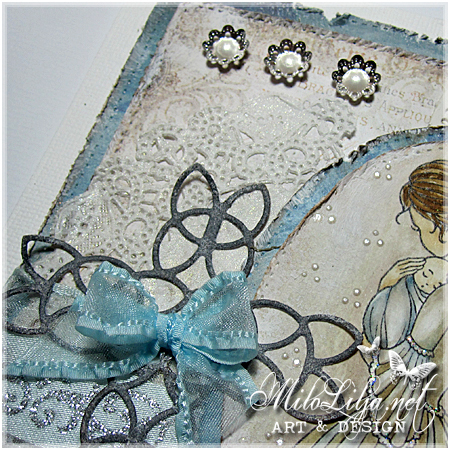 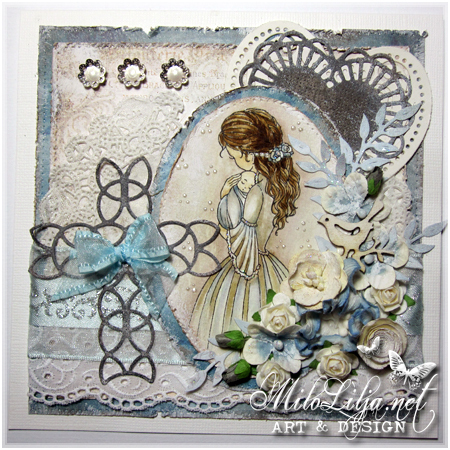 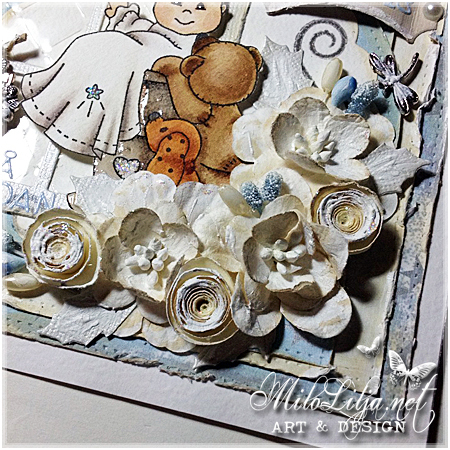 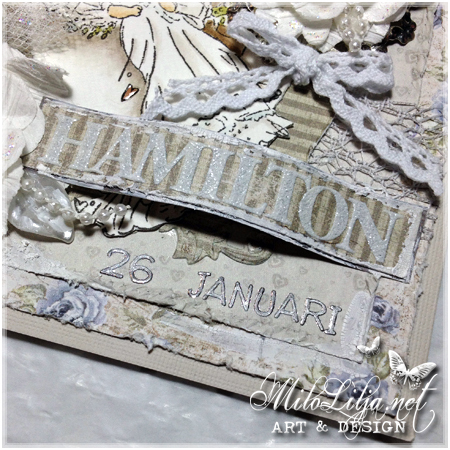 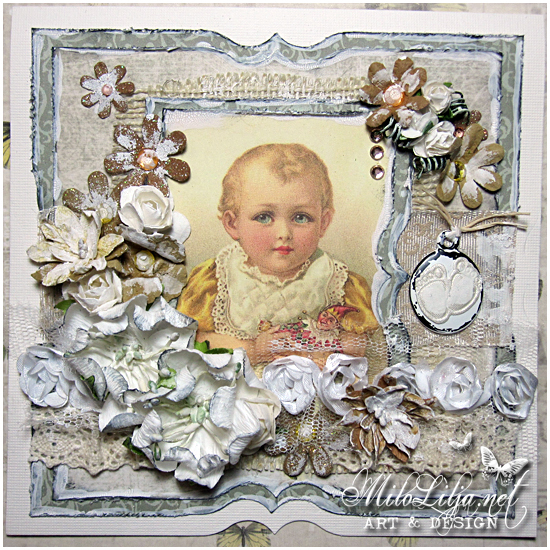 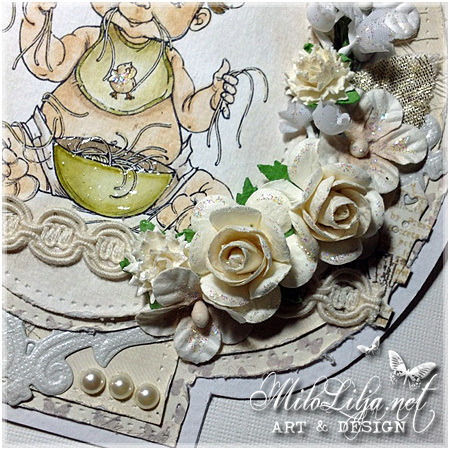 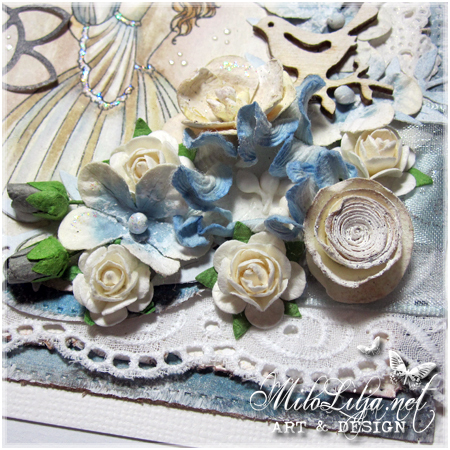 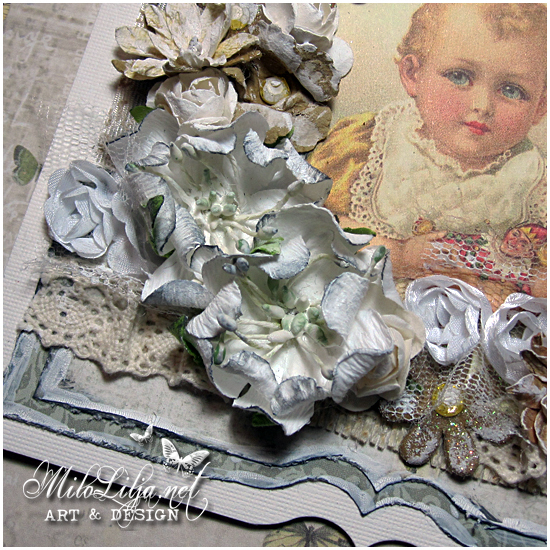 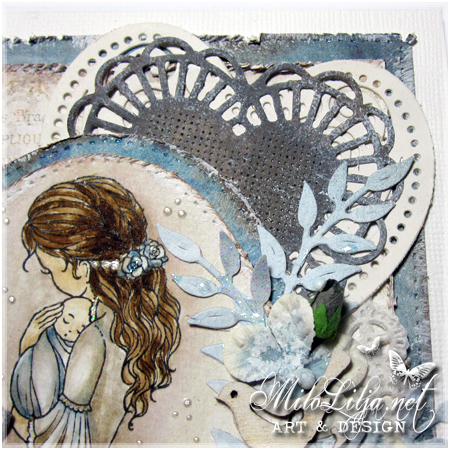 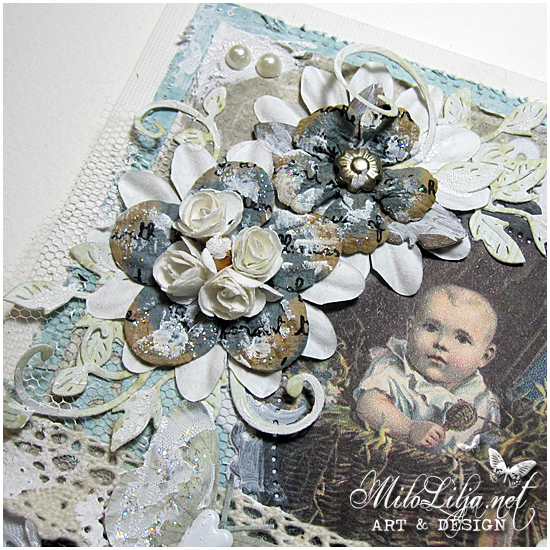 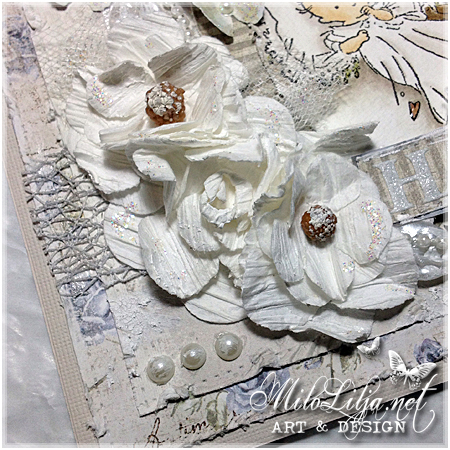 This month am I a guest designer for the challenge blog Cherish This. 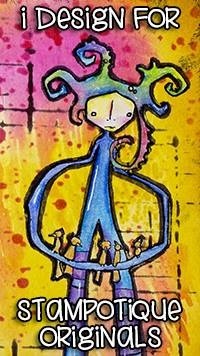 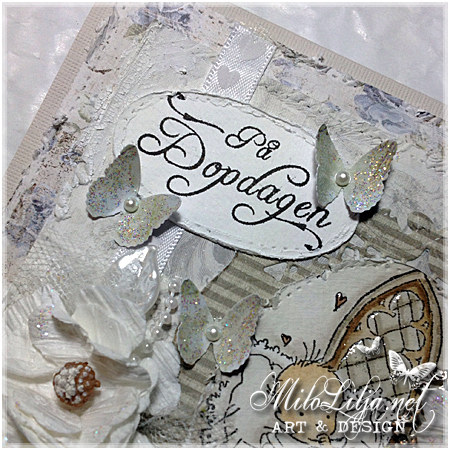 “Make a card that have another shape than rectangular or square and use at least three butterflies. 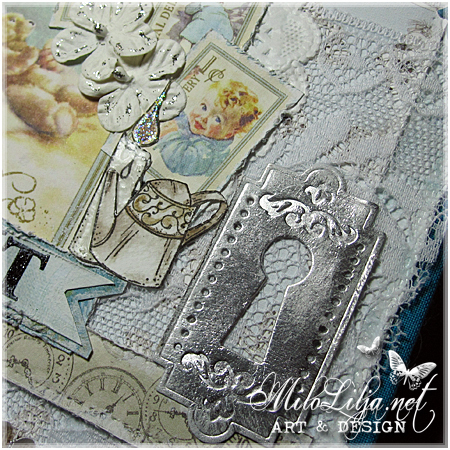 You´ll have 24 days from now to join the challenge here! 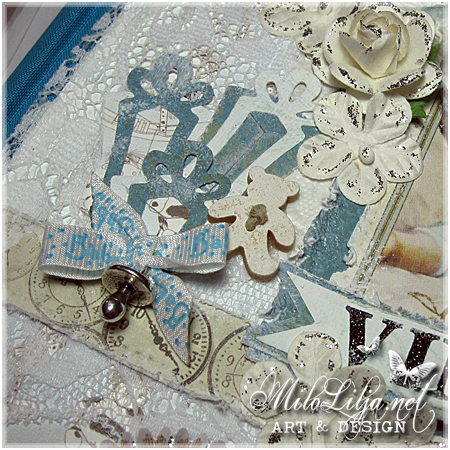 This is a creation for ScrapWeb. 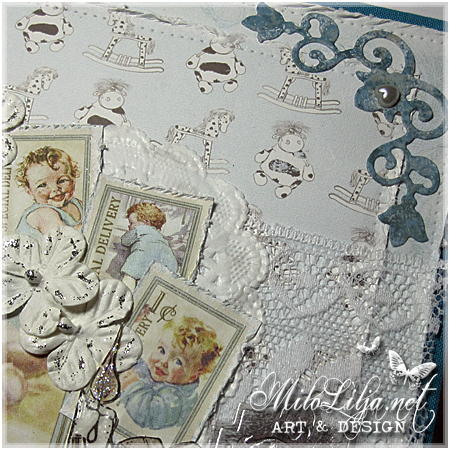 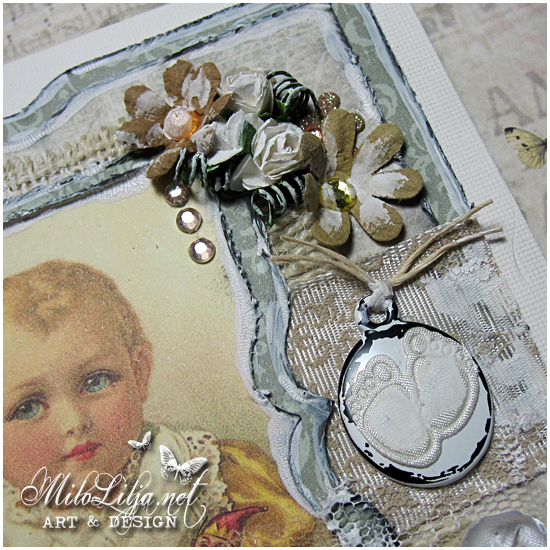 I made this inspiration card for Sweet Pea Stamps.